DAVID LE/Staff photo. 4/17/15. 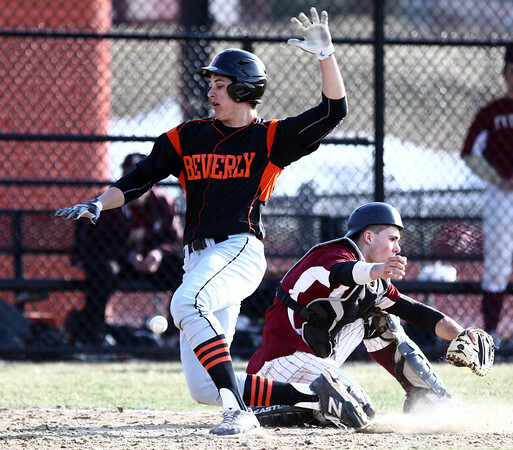 Beverly senior Gavin Sparkman avoids a collision with Newburyport catcher Rob Lagasse, right, as the ball skips past the Clippers catcher, allowing Sparkman to score.